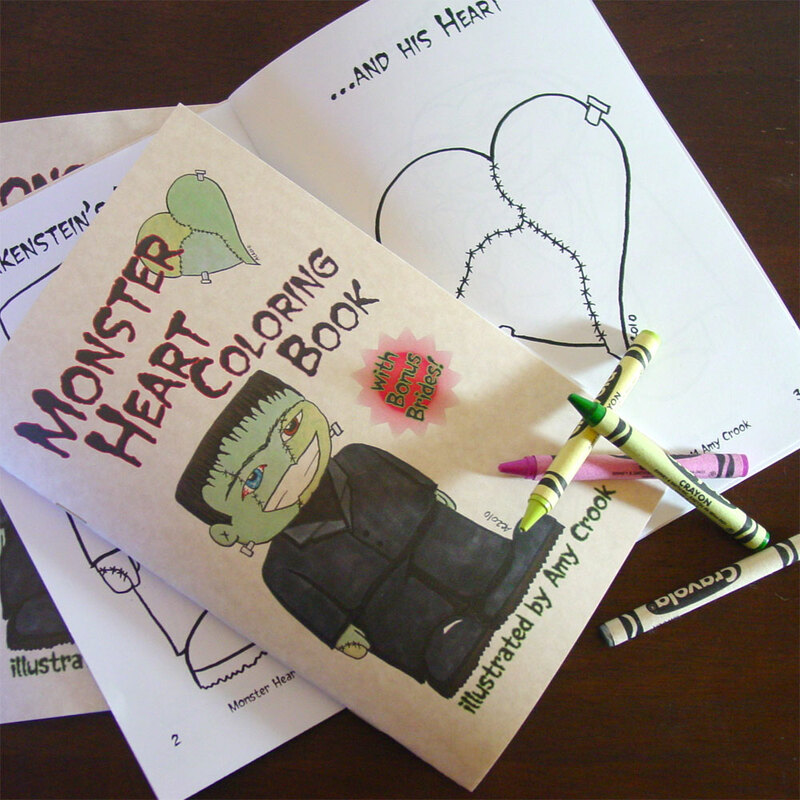 The perfect gift for the horror-loving Valentine in your life — a Monster Heart Coloring Book. Each monster is presented with his heart on the opposite page, from Frankenstein’s Monster’s stitched-together heart to the Mummy’s bandage-wrapped one. 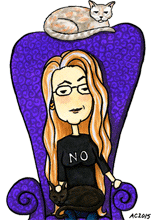 And as a bonus, a few of the monsters have brides! Dracula, modeled after the very classic performance by Bela Lugosi, even has a trio of his brides. 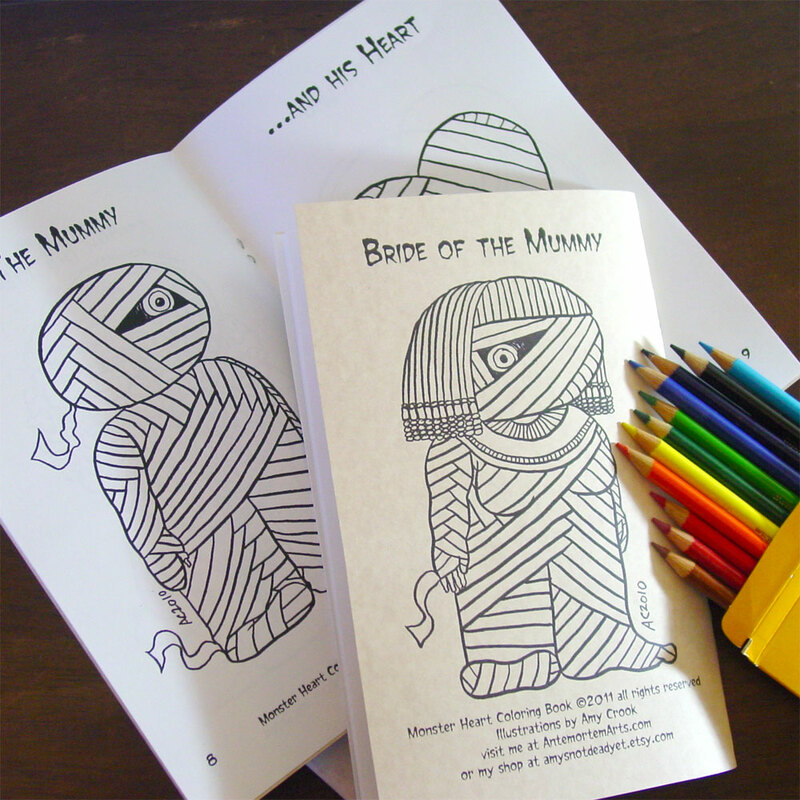 My Cthulhu Coloring Books got great reviews last year, so I decided to put out something special for Valentine’s day. This one’s a little longer, with 4 extra illustrations, and there’s all-new art including a Zombie and a brand-new Cthulhu. Check out the Monster Heart Coloring Book at my Etsy shop – it’s sure to make you smile.